The revelation in The Washington Post of a tape of Donald Trump bragging about sexually assaulting women landed just after 4 p.m. on Oct. 7, 2016. Less than an hour later, WikiLeaks, an anti-secrecy organization founded by Julian Assange, began releasing hacked emails from the account of John Podesta, the chairman of Hillary Clinton's 2016 presidential campaign. 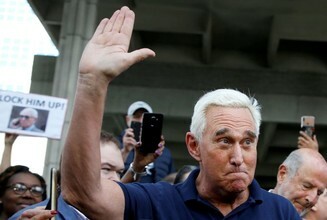 The striking simultaneity fulfilled the hope of Trump confidant Roger Stone, according to Jerome Corsi, a conservative author and former Stone associate who was subpoenaed over the summer for questioning by special counsel Robert S. Mueller III.